I feel like a stranger in the country of my birth: Canada. mutated into a secular nation by the beginning of the 21st Century. But that is not the end of the massive societal shift of the nation. Canada is becoming anti-Christian – particularly within the mainstream media and the élite halls of officialdom. 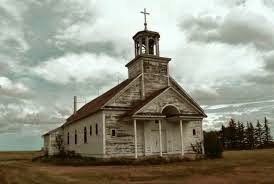 The last vestiges of our Christian heritage – the foundation of anything that gave Canada goodness and virtue -- are being systematically removed from public consciousness and recollection. People have such short memories. An earlier striking and painfully obvious example of Canada’s emerging anti-Christian prejudice occurred 16 years ago after the 1998 SwissAir disaster off the coast of Nova Scotia. There was an official memorial in which various faiths participated. 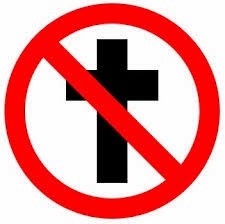 Canadian federal protocol officials prohibited the Christian clergy from mentioning the New Testament or Jesus Christ under threat of being bumped from the memorial program -- in the interests of being “inclusive.” No such restrictions were placed on aboriginal, Jewish or Muslim religious leaders who spoke freely about God and quoted from the Koran and Talmud. Only mention of Jesus and the New Testament were banned. Canadian government officials demanded to see the speaking notes of Catholic priest, Father Duncan MacMaster, and other Christian clergy, before the service and removed any mention of either from their speeches and sternly warned against speaking of Christ or the New Testament. One member of the Christian clergy protested to then Prime Minister Jean Chrétien’s office ― where the invitations originated ― to no avail. The clergy were invited but not Jesus Christ. A mischievous observer may have commented that the sort of anti-Christian bias that publicly ponders whether evangelical Christians are unfit for public office, is itself in violation of the pluralism, intolerance and inclusion they espouse in other contexts. Ahh, yes, liberal secularists are tolerant of everything except Christians, their beliefs, morality, or their holy Book. Another example of the limits of Canadian pluralism, tolerance and inclusion is the fact a 2001 Saskatchewan Human Rights tribunal deemed portions of the Bible were hate literature. That decision was later upheld by a Saskatchewan court in 2003.
consensus can be seen in the rejection of the sanctity of human life of those in society who inconvenience others or are unwanted. The evidence is seen in abortion on demand across the land. 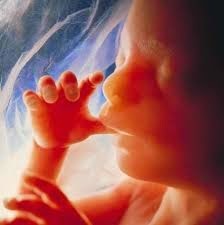 Over 100,000 unborn children are killed each year. 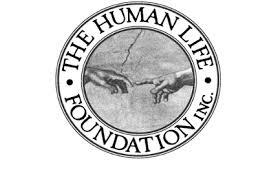 My wife used to be the Executive Director of Alberta Pro-Life from 2008-2010. An abortion clinic was situated across the street from my wife’s office; 6,000 unborn children were systematically slaughtered each year at that one killing center. Canada's poster boy for abortion was Henry Morgentaler. “Dr.” Morgentaler was given Canada’s highest award, the Order of Canada, for his role in Canada’s holocaust. He had abortuary franchises across Canada churning up the bodies of preborn children in assembly line fashion and turning their mothers out into the street, one-two-three .... Kaching-kaching-kaching! Imagine! This goes on five days a week, week in-week out in abortion clinics across the land. The bodies of the children disposed of as "medical biowaste". It’s all protected by the state and paid for by Canadian taxpayers. I wonder if there was code-language in the ancient world for the bodies of children forced through the fire as a sacrifice to the pagan god Molech? I wonder if there were temple guards who protected priests and the child sacrificers. In Canada, there is no protection at any point of gestation for prenatal life. Abortions are legal up to, and including the third trimester – although we pretend it doesn’t. The neo-pagan god of "choice" is never satisfied. Now, the next vulnerable and burdensome group are in the crosshairs of the new secular Canada: Killing off the terminally and chronically ill, and the severely disabled. The stage is being set for euthanasia and assisted suicide. (The code phrase here is choice in dying.) 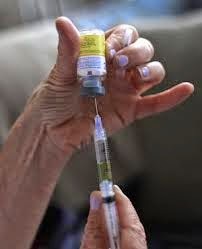 Quebec recently legalized assisted suicide. Again the highest secular ideal of "choice" is being used to peddle death. It's working. Seventy-percent of Canadians agree with assisted suicide for the terminally and chronically ill. That’s me. It’s hard to go down any street in Canada and know seven out of ten people who pass me think my life is worthless – so worthless I deserve help killing myself if I become suicidal. There’s no sympathy for assisting physical healthy people to kill themselves – only the country’s sicklings (like me). What was unthinkable in the 1950s, is contemplatable in 1970s and 80s, acceptable in the 90s, and may become commonplace in the 21st Century. If the past is any indication, people will have the "right" to choose assisted suicide. At first it will be for the terminally ill, then the chronically ill, then the mentally ill, then the depressed. I can not bring myself to think about what may come after that. 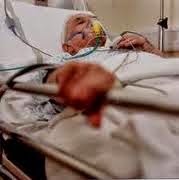 Suffice to say that the right to die with dignity will eventually become the duty to die with dignity or at least with suitable aplomb in deference to the greater community. And that brings me to my last point. A community that kills its unwanted children and old or sick people is not a community at all. It is a jungle.